I&apos;m extremely proud and, indeed, honoured to have been invited to give this year&apos;s Colin Matthew lecture, more so than the organisers may have realised at the time that I was invited, because I was a great admirer of Colin, who became a friend right at the end of his life, when he came to open the new nineteenth-century galleries at the National Portrait Gallery where I was then Director. At his memorial service in the University Church at Oxford, I learned from the address given by Keith Thomas that his family had slightly mocked him ever since, because the letter which I had written to him inviting him to open the galleries had made reference to the fact that he was being asked to take the place of the Prime Minister, so that it became a family joke that whenever he was required to do the washing-up he was asked to do so, &apos;in the absence of the Prime Minister&apos;. Not long afterwards Colin was apparently &apos;very chuffed&apos; (those were his words) to be appointed as a Trustee of the National Portrait Gallery. He was a model Trustee: kind, caring and considerate, bombarding me with sympathetic e-mails, many of them inviting me to write entries for theDNB. I remember the moment when he told me that he had bought a book about the history of the V&A and he did not disguise the faintly detectable sense of surprise when he told me that he had found an essay in it by me, with an even more faintly detectable sense of surprise that it was interesting, with just a touch of the sympathetic tutor who discovers that a slightly dim-witted student has handed in a half-way decent essay. Was it my imagination that there was more than a trace of the professional Oxford academic&apos;s assumption that, if one is in public life, then it is not really possible to maintain a proper intellectual engagement with the subject of history and that one&apos;s study of it must necessarily be amateur? Not long afterwards, Colin died, riding on his bicycle on his way to be checked up at the Radcliffe Infirmary. Of all my Trustees, he was the one I least expected to die, being, by their standards, relatively young and apparently fit. I missed him then and I have missed him since, particularly because, not long afterwards, I became interested in a subject that I know he was exceptionally knowledgeable about and would have been able to advise on: that is, the subject of tonight&apos;s lecture, which I am pleased to be able to dedicate to his memory. I am going to describe the subject of tonight&apos;s lecture in necessarily slightly jejune terms, because, as Colin Matthew rightly recognised, I do not pretend to be a properly professional student of nineteenth-century history. But, in writing about the early history of the National Gallery, which I was asked to do while I was its Director, I became interested in the extraordinary rapidity with which it transformed itself from a fairly amateur operation, established apparently rather casually by Lord Liverpool&apos;s government in 1824 and occupying in its early days a private house in Pall Mall, looked after as its Keeper by William Seguier, who was certainly knowledgeable about works of art, but as a professional adviser to connoisseurs and aristocratic collectors. There was not at the beginning a very clear mandate for its operation. There were no formal meetings of its Board of Trustees, who were in any case in the early days merely a sub-set of the Trustees of the British Museum. And yet the National Gallery transformed itself in the space of only about thirty years from being a rather casual, haphazard operation into being a much more disciplined, coherent, scholarly and professional organisation, occupying grand and stately premises on the north side of Trafalgar Square. What, then, I asked myself while writing the history of the National Gallery in its early days, were the mechanisms and processes, the ideas behind its formation, which led to what I have described in my title as the institutionalisation of art in early Victorian England? In the book that I have now published on the history of the National Gallery, I adopted a purely narrative and descriptive approach. I recorded the ways in which, in the late 1820s, the Trustees of the National Gallery, when Robert Peel was appointed to their number, became somewhat more organised in their meetings, keeping minutes for the first time and recognising that the building which they originally occupied was wholly inadequate to the task of displaying works of art and that they must therefore commission a new one - larger and grander and more public in its orientation and with a proper order and sequence of public galleries. I described how, in the 1830s, parliament became interested in the issue of the education of public taste and the role that a National Gallery might play in improving the public&apos;s knowledge and awareness of the principles of fine art by the establishment of a parliamentary committee in 1835 to look at, and investigate, the processes of training in fine art for the improvement of British manufacture. I discussed how, in 1843, when the first Keeper, William Seguier, died, the Trustees appointed Charles Eastlake, a painter, who had spent the 1820s living in Rome and who came to the task of running the National Gallery with a much more scholarly and, indeed, more academic knowledge of the history and study of art than his predecessor. In the 1840s, Eastlake got fed up with the amount of public criticism he faced for all his actions as Keeper of the National Gallery, his acquisitions and his policies of conservation of the pictures, and it was only in 1855 when he returned as a fully-fledged Director of the National Gallery that he was able to establish its operation on properly professional lines with an orderly structure, a commitment to the scholarly study of the works of art which had been acquired, a procedure of cataloguing, a description of how the relationship between the Director and the Board of Trustees was expected to operate, and a budget which enabled Eastlake to go on buying trips in Italy every autumn, so that he was able to transform the National Gallery from an amateurish collection of Old Master paintings, which betrayed its origins in the Grand Tour taste of its Board of Trustees, into one of the greatest, small-scale collections in Europe of works of art which were properly illustrative of the history of western European painting, including those by the early Italian masters alongside some of the greatest works of the seicento. Often I have found a Portrait superior in real instruction to half-a-dozen written &apos;Biographies&apos;, as Biographies are written; or rather, let me say, I have found that the Portrait was a small lighted candle by which the Biographies could for the first time be read, and some human interpretation be made of them. By December 1856, a National Portrait Gallery had been established with government funding, a well qualified Secretary and Keeper, George Scharf, who was then occupied in organising the great Manchester exhibition of works of art and who had indeed been a candidate for the post of Director of the National Gallery the previous year and who, like Eastlake, had many of the same attributes of careful and scrupulous scholarship, a meticulous concern for the documentation of works of art, and an interest in establishing the new institution on properly scholarly lines. At this point, I hear Colin Matthew reminding me somewhere in the background that the 1850s was also the decade of the Great Exhibition, the greatest display of artefacts from all over the world, organised in the space of eighteen months in a huge, glass, temporary palace in Hyde Park with a huge, popular and public interest in seeing the wonders of the world, but also an extraordinary feat of management; and that the Great Exhibition led, the year afterwards, to the establishment of a Museum of Manufactures in Marlborough House and, in 1857, to its organisation on a much more permanent footing in South Kensington, once again with the security of parliamentary funding and an extremely able and powerfully engaged Director, Henry Cole, who, like Charles Eastlake, had a finger in every pie of arts management during this period, beginning his professional career in the Public Record Office, working as an assistant to Rowland Hill in the introduction of the Penny Post, writing a popular guide to the National Gallery under the pseudonym Felix Summerly, editing The Journal of Design and Manufactures and, in 1849, involving himself in theSelect Committee Report on the Government Schools of Design, before working as one of the Commissioners under Prince Albert in the organisation of the Great Exhibition and taking up the post of General Superintendent of the newly established Department of Practical Artunder the Board of Trade in 1852. The role of the Department was to administer the Schools of Design and to set up &apos;museums, by which all classes might be induced to investigate those common principles of taste which may be traced in the works of excellence of all ages&apos;. All of these facts are perfectly well known to historians of this period, as well as to art historians, and are closely related to the professionalization of the study of history in the same period, which has been much written about. They are important aspects of the culture of early Victorian England. But what I am not convinced has previously been satisfactorily analysed or explained, even in spite of a great deal of recent research by a group of younger cultural historians, mainly based in Cambridge, is the extreme rapidity of this transformation, the exact process of the institutionalisation of art. Let me spell out the issue as clearly as I can, perhaps rather crudely. From a period in the 1820s when the management of culture consisted of not much more than the rather old-fashioned practices of the Trustees and staff of the British Museum, who were in charge of an extremely miscellaneous and highly eclectic set of collections which mingled antiquities with works of natural history and which was only visit-able by persons &apos;of decent appearance&apos; on three days a week, suddenly, during the 1830s and 1840s, there was a much more energetic determination on the part of parliament, the crown and a small number of public officials, like Charles Eastlake and Henry Cole, to bring order and system and supervision to the realm of art. Instead of being a free market, subject to the vagaries of public taste and the whims of private patronage, with the only public institutions of fine art being organised as an act of free enterprise by groups of private individuals, as happened in the establishment of the British Institution in 1805, the world of fine art, its study and practice, suddenly came within the scope of parliament to organise, finance, supervise and control. The acquisition and display of works of art became much more systematic. Works of art were studied, documented, classified and interpreted in a way that they had not been before. The teaching of art was subject to an iron discipline in a way that it had not been previously. Art was treated as a didactic instrument to teach the public about British history. Throughout the British Isles and not just in London, there was a belief that art could be managed in the same way as other areas of the public realm. So then the question that I want to ask in this lecture is why did this happen? Why was it that in the space of only about thirty years attitudes towards the study and enjoyment of Old Master painting changed from being the private pleasure of a small number of connoisseurs and collectors to being a public duty enjoyed by large numbers of citizens - in the National Gallery in 1859 as many as a million a year, equivalent to ten a minute - in free public galleries? Why was it that, during the 1820s, the enjoyment and appreciation of Old Master paintings was concerned above all with an appreciation of their visual qualities, without particular regard for their date or attribution, whereas by the 1850s there was a much stricter regard for their documentation and history, so that works of art could be properly studied in terms of their historical development? Why was it that, during the same period, historians recognised that works of art could become useful documents of study, helping the task of interpretation? Why was it during this period that it was acknowledged that it would be beneficial to the public to be able to study objects of manufacture, as well as works of art, from other parts of the world in order to give them a better understanding of the mysteries of taste, so that they would be better able themselves to produce works of art to compete in a global marketplace? Why was it, in short, if you agree with my perhaps too superficial analysis of the phenomenon, that the institutionalisation of art took place? It is when I come to providing an explanation of this phenomenon that I acknowledge how I badly need the assistance of Colin Matthew. But in spite of not having the benefit of professional advice, I am going to attempt an analysis of this phenomenon and to try to pick out and establish some of its most obvious characteristics in search of an explanation. First, it is impossible to ignore the role of a small group of highly energetic, well-trained individuals, who saw themselves as public servants in a way which did not, I think, exist in the previous generation. Charles Eastlake was trained in the Royal Academy Schools in the early part of the century, but he then lived in Rome during the 1820s, where he came into contact with German artists and German art historians. He seems to have absorbed some of the intellectual and moral discipline of his German friends, including J.D. Passavant who wrote the first biography of Raphael and Gustav Waagen, the art historian who was appointed Director of the Altes Museum in 1832, as well as the wide range of their intellectual and academic reference. As a result of living in Italy and travelling on the continent, Eastlake approached works of art, not simply aesthetically, to be appreciated visually, but as having a history which was susceptible to intellectual study and analysis. In 1840, he published a translation of Goethe&apos;s Theory of Colours. In 1842, he published a translation of Franz Kugler&apos;s book on the Italian Schools of Painting. In 1847, he published his magisterial Materials for a History of Oil Painting, a book which is still in print for the information it supplies about the early history of the materials and techniques of painting, and the following year he published a compilation of articles under the title Contributions to the Literature of the Fine Arts. In other words, he was a scholar as well as a public official, highly industrious and productive in publishing work alongside his public duties, a model of the high-minded Victorian public servant. Let us think now about the characteristics of Henry Cole. Educated at Christ&apos;s Hospital, he entered public service aged 15 as an assistant to Francis Palgrave, the early student of public records and who was such a significant figure in the establishment of the Public Records Office. Cole seems to have inherited from Palgrave some of his powerful determination to reform public organisations, including, in Henry Cole&apos;s case, the postal service, the system of art school teaching, the Royal Society of Arts, and the ways in which manufactures and public taste could be improved by their systematic display, first in Marlborough House and, from 1857 onwards, much more ambitiously in the South Kensington Museum. Both Palgrave and Cole, if faced by obstacles, were capable of being pretty bruising in the ways in which they treated colleagues: that was the way they got things done. George Scharf, who was the key figure in the foundation of the National Portrait Gallery, was perhaps a slightly less bull-ish public servant, but the range of his intellectual interests was still fairly formidable, travelling in the 1840s as the official artist on expeditions to study antiquities in Asia Minor, compiling a catalogue of the pictures owned by the Society of Antiquaries, helping to organize the Greek, Roman and Pompeian courts when the Crystal Palace moved to Sydenham, and appointed as the secretary to the great Art Treasures Exhibition at Manchester in the same year that he took up the post of Secretary to the Trustees of the National Portrait Gallery when it was established in 1857 in a small, private house in Great George Street, close to the Houses of Parliament. We have got used in recent years to the idea of the professional bureaucrat as a term of abuse, as if all bureaucrats are intellectually second-rate, interested only in the perpetuation of systems of existing management and not in innovation. But these art bureaucrats of early Victorian England were something else: tirelessly hard-working, writing books in the morning, serving on committees in the afternoon, endlessly networking and socializing in the evening, with a dedicated sense of mission to create and reform institutions of art for the educational benefit of a broad public. And I certainly do not think it is accidental that their activities, their sense of moral purpose, coincided with the reform of the civil service itself, the sweeping away of systems of patronage through the Northcote-Trevelyan Report of 1854. The tidying of procedures, the organization of systems of public management, the idea of public duty, were not confined to art history. However, I am conscious that, as a system of historical explanation, to say that a widespread historical phenomenon such as the institutionalisation of art was only the result of the agency of a small number of highly motivated individuals will be viewed by historians as intellectually suspect. There were very obviously wider forces at play. The first of the wider forces was the agency of parliament. It is impossible to ignore the fact that it was parliament which, following quite heated argument and debate, agreed to the foundation of the National Gallery. It was not just a small group of self-interested individuals who were themselves already deeply involved in the art world, like George Beaumont and Sir Thomas Lawrence, the then President of the Royal Academy, who led the move to found a National Gallery, but the Prime Minister Lord Liverpool himself, who wrote to the Duchess of Devonshire in support and chose to have himself painted by Sir Thomas Lawrence with the original charter of foundation in his hand. The Chancellor of the Exchequer, Frederick Robinson, known as &apos;Prosperity&apos; Robinson, was able not only to give grants for the foundation of the National Gallery, but also in nearly the same year towards the new building by Robert Smirke for the British Museum. And a young backbench MP like George Agar-Ellis, later Lord Dover, combined his service in parliament with trusteeships of both the British Museum and the National Gallery alongside the formation of a collection of British art and editing Horace Walpole&apos;s letters. In the 1830s, in the period after the Great Reform Bill and as a direct consequence of it in bringing into parliament a new class of idealistic and reforming MPs, there was a tremendous amount of involvement of parliament in state policy towards the arts. Robert Peel took a close personal interest in the development of a new building for the National Gallery. There was detailed discussion of its design and cost in debates in the House of Commons. In July 1835, parliament established a Select Committee which was appointed &apos;to enquire into the best means of extending a knowledge of the Arts and Principles of Design among the people (especially the Manufacturing Population) of the Country; also to enquire into the Constitution of the Royal Academy, and the effects produced by it&apos;. It asked for evidence to be heard from both Gustav Waagen, who spoke forcefully in favour of wider public access to the arts and to &apos;the employment of artists in public buildings&apos;, and from Leo von Klenze, the architect of the Glyptothek and the Alte Pinakothek in Munich. The notion that the English people were only fit to be trusted in particular places - that museums were only intended for the visits of the rich, and that those collections so calculated to improve the mind, and promote science, should only be open to men of birth and fortune, had wholly gone by. Although there is a presumption that parliament became much less interventionist during the 1850s, less troubled by the prospect of social subversion, there does not seem to have been much reduction in the cultural activities of the legislature in the establishment of institutions of art during the 1850s. In 1850, another Select Committee was established to decide the fate of the Vernon Collection. Lord John Russell as Prime Minister pledged public funds to relocate the Royal Academy into new premises apart from the National Gallery. In 1853, parliament established yet another Select Committee, this time, &apos;To inquire into the management of the National Gallery; also to consider what mode the collective monuments of antiquity and fine art possessed by the nation may be most securely preserved, judiciously augmented, and advantageously exhibited to the public&apos;. The Committee took evidence for four months before publishing its Report which consisted of over 1,000 pages of evidence. It was Parliament, not the Trustees, which was responsible for establishing the organization and management of the National Gallery on a properly professional footing through the issue of a Treasury Minute in March 1855. So, it was not just the officials who were industrious. They were under the close scrutiny of members of parliament who took a personal interest in all aspects of arts policy, including the conservation of paintings and - not always helpfully - the price of works of art and the arrangements for their acquisition. The institutionalization of the arts was not a product of private initiative, but of the application of public policy to the improvement of the lives and welfare of the citizenry. No area of life was now immune from parliamentary action and members of parliament took a broad view of their responsibilities. It will be evident throughout this analysis of the institutionalization of the arts that another motivator of change was competition with, and awareness of what was happening in, Germany. Nation states were in competition in their cultural policy as they had been on the battlefield. There was a cartoon published in the 1820s comparing the miserable accommodation of the National Gallery with the glories of the Louvre. There was a strong awareness amongst the intellectual leaders of the 1830s, particularly in the universities, where young men inspired by the writings of Coleridge, Kant and Schlegel, would go to study in the university of Heidelberg, of what was being achieved in terms of the display of art in both Munich and Berlin. Schinkel&apos;s great building for the Altes Museum on the banks of the Spree and Leo von Klenze&apos;s purpose-built Alte Pinakothek were the models for what could be achieved through a dynamic policy towards the display of art for public benefit. Younger members of parliament were aware, and inspired by, the essentially German idea that cultural institutions could provide an essential symbolic value to the effectiveness of the nation state. It is only necessary to refer to his work, where he proves that education is one of those things which it is admissible in principle that a government should provide for the people, and that help in education is help towards doing without help, and is favourable to a spirit of independence. I hope then that I have provided some description of what led to the institutionalisation of the arts in early Victorian England, some analysis of what was, I think, a pretty radical and pretty rapid change in public attitudes to the arts. But it will perhaps not have escaped your attention that I have made very little reference to the Royal Academy of Arts, the public institution of which I am the servant, and of what happened to it during this period. So, it is perhaps worth ending this lecture by asking why this should be. the Royal Academy [is] a much more important institution to the nation than the National Gallery; I look upon it that a garden is of more consequence than a granary; and you may heap up a hortus-siccus of art without producing any of the salutary effects which never fail to result from the operations of such a school as the Royal Academy. In other words, the Royal Academy pretty well stuck two fingers up at those who believed in wider public access to the arts and felt that providing better facilities for the study of art would not necessarily improve its practice; and, indeed, there is a case to be made that the process which I have been describing of the institutionalization of art did, indeed, greatly increase the public knowledge and interest in art, but did not necessarily at the same time improve its creative practice. I should perhaps leave you with the final reflection that, as we approach the prospect of a likely change of government and as the two parties face the problem of what they are going to do about the arts in an environment of substantially reduced availability of public funding, there may be benefits in looking back at the issues and debates faced by government and the House of Commons in the 1830s and 1840s. We have had an administration over the last decade whose attitude towards the arts has been essentially utilitarian, sometimes nearly Benthamite in its belief that the essential value of the arts lies in its purposes of social amelioration. But alongside those who espoused these utilitarian beliefs in the 1830s were others who had a stronger and more idealistic belief in the arts as a source of moral and intellectual and, indeed, in many cases, religious uplift - a way of improving society through its culture. We have in many ways lost the language of how to describe these idealizing purposes of art in public discourse. But parliamentarians in the 1830s did not feel so constrained. They perfectly understood that there were a set of ideas and beliefs which derived from the writings of Kant and Coleridge and which were capable of providing a source, as well as a language, of public belief. I conclude by suggesting that it may perhaps be helpful nowadays in considering the sometimes arid language of current aesthetic discourse to go back to those writers and thinkers for whom these issues were a subject of intense public debate and to think, once more, about the emblematic and moral value of arts institutions, instead of just their instrumental purpose. This family joke is also alluded to in Boyd Hilton&apos;s memoir &apos;Colin Mathew (1941-1999)&apos; prefaced to P. Ghosh and L. Goldman (eds. ), Politics and Culture in Victorian Britain, Oxford, 2006, p.23. The essay was Charles Saumarez Smith, &apos;National Consciousness, National Heritage, and the Idea of &apos;Englishness&apos;&apos;, in Malcolm Baker and Brenda Richardson (eds.,), A Grand Design: The Art of the Victoria and Albert Museum, London, 1997, pp.275-283. The above description of the early days of the National Gallery are based on Charles Saumarez Smith, The National Gallery: a short history, London, 2009. 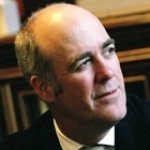 I am also greatly indebted to the work of Jonathan Conlin, including his Ph.D. thesis &apos;The Origins and History of the National Gallery, 1753-1860&apos;, unpublished Ph.D. Thesis, Cambridge University, 2002 and his subsequent monograph, The Nation&apos;s Mantelpiece: A History of the National Gallery, London, 2006. For the foundation of the National Portrait Gallery, the most recent account is in David Cannadine, National Portrait Gallery: a brief history, London, 2007. There is also a description of its origins in Charles Saumarez Smith, The National Portrait Gallery, London, 1997. There is a good discussion of the views of the Fine Arts Commission in Emma Winter, &apos;German Fresco Painting and the New Houses of Parliament at Westminster, 1834-51&apos;, Historical Journal, 47, 2004, pp.291-329. For writing about historians, see, for example, P. Levine, The Amateur and the Professional: Antiquarians, Historians and Archaeologists in Victorian England, 1838-1886, London, 1986. The pioneer in writing about this topic was Janet Minihan (néeOppenheim), The Nationalization of Culture: The Development of State Subsidies to the Arts in Great Britain, London, 1977 and there is a briefer, but also suggestive analysis, in Nicholas Pearson, The State and the Visual Arts: a discussion of State intervention in the visual arts in Britain, 1760-1981, Milton Keynes, 1982. However, they are both fairly broad-brush. For Janet Minihan&apos;s approach to the subject, see Peter Mandler, Alex Owen, Seth Koven and Susan Pedersen, &apos;Cultural Histories Old and New: Rereading the Work of Janet Oppenheim&apos;, in Victorian Studies, 41:1, Autumn 1977, pp.69-105. More recently, there has been much investigation of the period by a group of younger cultural historians, mainly based in Cambridge and including Peter Mandler. For broad overviews, see Peter Mandler, &apos;Art in a Cool Climate: The Cultural Policy of the British State in European Context, c.1780-c.1850&apos; in T. Blanning and H. Schulze, Unity and Diversity in European Culture c.1800, Oxford, 2006, pp.101-120 and Holger Hoock, &apos;Reforming culture: national art institutions in the age of reform&apos; in A. Burns and J. Innes (eds. ),Rethinking the Age of Reform: Britain 1780-1850, Cambridge, 2003, pp.254-270. In thinking about these issues, I am exceptionally grateful for informal advice at an early stage from Professor Peter Mandler and Emma Winter, both of whom gave admirable advice on the topic and my treatment of it. For a description of the phase in which it was assumed that art institutions were more likely to be established by private than by public initiative, see Peter Funnell, &apos;William Hazlitt, Prince Hoare, and the Institutionalisation of the British Art World&apos; in Brian Allen (ed. ), Towards a Modern Art World, London and New Haven, 1995, pp.145-156. For the life of Charles Eastlake, see David Robertson, Sir Charles Eastlake and the Victorian art world, Princeton, 1978 and Christopher Hodkinson, &apos;In the National Interest: Sir Charles Eastlake and the National Gallery&apos;s collection of Italian Renaissance Paintings&apos;, unpublished MA dissertation, Lancaster University, 2004. There is a good description of Cole&apos;s personality in H.T. Wood, A history of the Royal Society of Arts, London, 1913, p.359. The best discussion of Prince Albert&apos;s influence on the arts remains Winslow Ames, Prince Albert and Victorian Taste, London, 1967. For Gladstone&apos;s views of art, see Jonathan Conlin, &apos;Gladstone and Christian Art, 1832-1854&apos;, Historical Journal, 46: 2, June 2003, pp.341-374. The influence of German ideas on British culture is the subject of Emma Winter, &apos;The Transformation of Taste in Germany and England, 1797-1858&apos;, Ph.D. dissertation, Cambridge, 2005. Henry Cole, Introductory Addresses on the Science and Art Department, 1857, no.1, p.9. There is a useful description of the views of the opponents of the Royal Academy in Peter Funnell, &apos;The London Art World and its Institutions&apos;, in Celina Fox (ed. ), London - World City 1800-1840, London and New Haven, 1992, pp.164-165.